Although I have not published an article in a while, this does not mean I have been doing nothing! 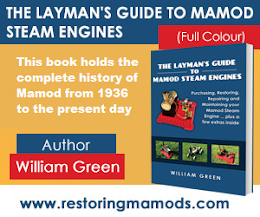 In actual fact, it has been an extremely busy time, selling The Layman's Guide To Mamod Steam Engines book that has been received with great feedback, replying to people that contact me through the contact form and, of course, finding engines to buy! 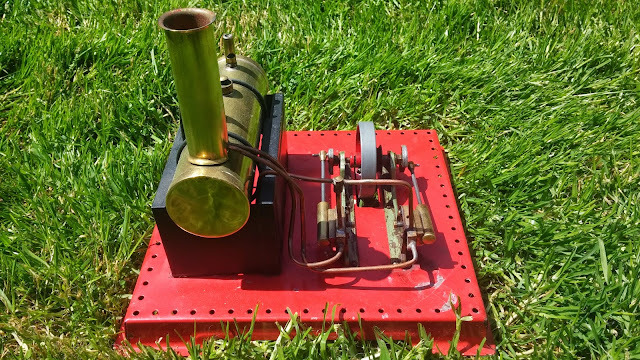 In this article, I thought I would share with you my latest experience in purchasing a Mamod engine. However, it is more of a 'learn from your mistakes' article rather than a 'good buy' article. 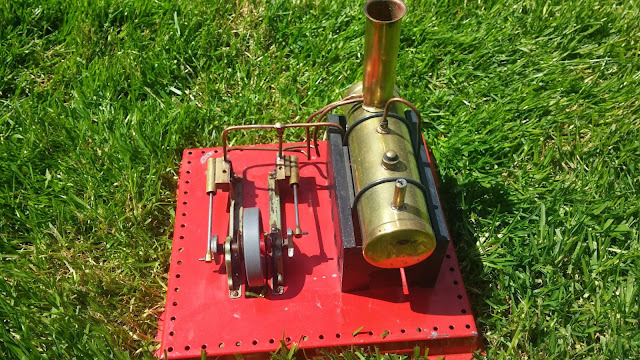 After seeing a Mamod SE3 stationary steam engnie get posted online at a price of £50 including delivery, it was pretty hard to ignore it. 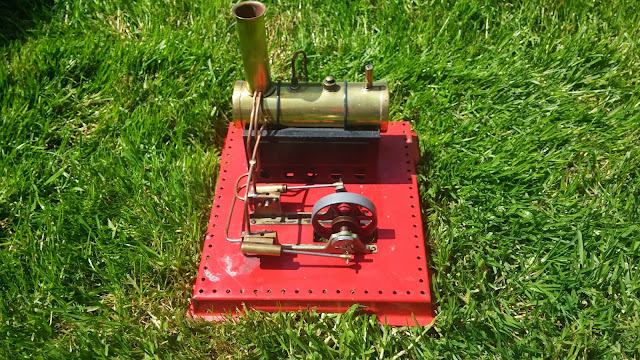 Before purchasing any engine, though, I would advise having a read of 'How To Tell A Mamod Engine Has Been Restored'. 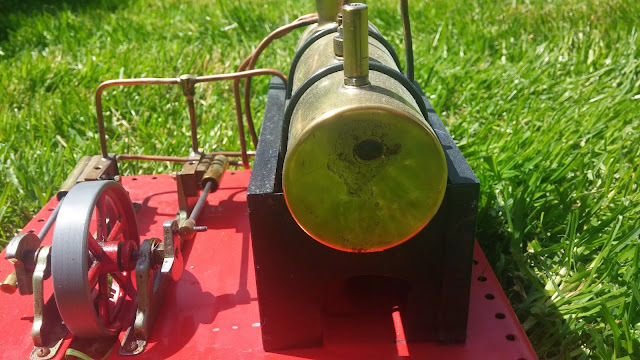 In essence, I highlight the main signs that a Mamod engine has been restored because many people on the internet claim the engine is in good/excellent condition - you want it to be in original condition whereas it might be in that condition due to being restored. With this engine at £50, it could not be ignored. Mamod steam engines' prices are constantly increasing as they become more and more collectable. I would say that a well conditioned SE3 is worth at least £100 nowadays (May, 2015). The pictures of the engine were taken from all angles (which was a good sign). However, the quality of the pictures was not enough to see all of the detail so it was always going to be a gamble: one that has not quite paid off. So, from this angle, the engine looks a pretty good buy here. Everything seems to be where it should be. The only parts missing are the handle for the whistle and the burner tray which can both be replaced quite easily. Again, everything looks fine here. I would be slightly concerned about the paint stripped on the bottom right of the base. However, it was always going to be on the cards to strip and respray the whole base. What concerns me is why the paint has come off. You would think this looks all good. However, there is something in this picture that completely tells you the story of this engine. 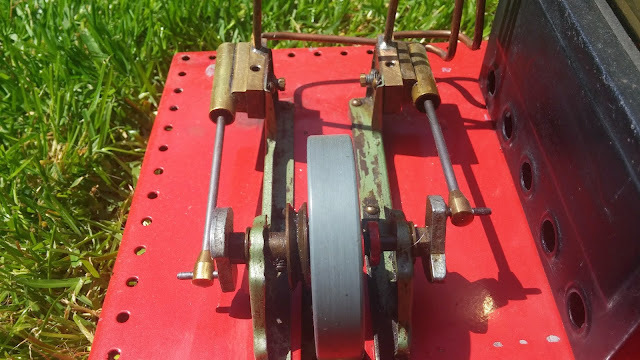 On an non-restored SE3, the piping from the boiler to the cylinder is very neat, with no bends and relatively straight. With this engine, the piping slightly goes to the left as it enters the boiler where it should be going straight. This makes it clear someone has taken the engine apart and most likely to restored it. This is where it all starts to go downhill. 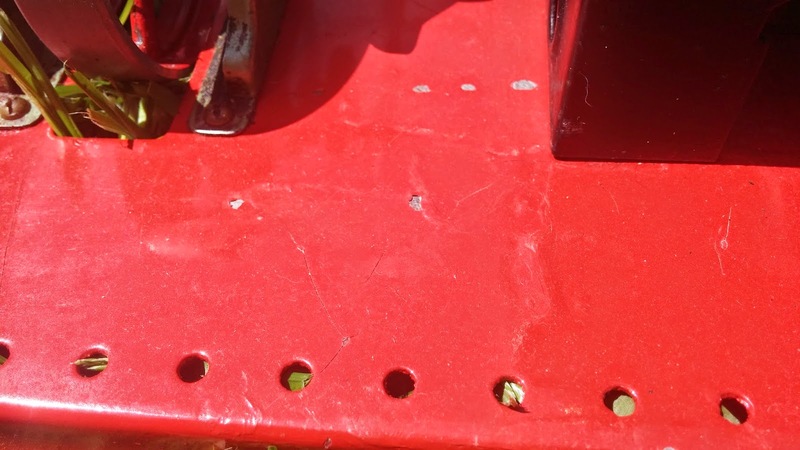 The base has definitely been resprayed and the water level plug is non-existent. Upon closer inspection, it seems the previous owner/restorer had decided to close the water level plug whole completely. I can understand partially why they have done this since the engine can still work like this. However, telling how much water in the boiler when steamed up will be very tricky. 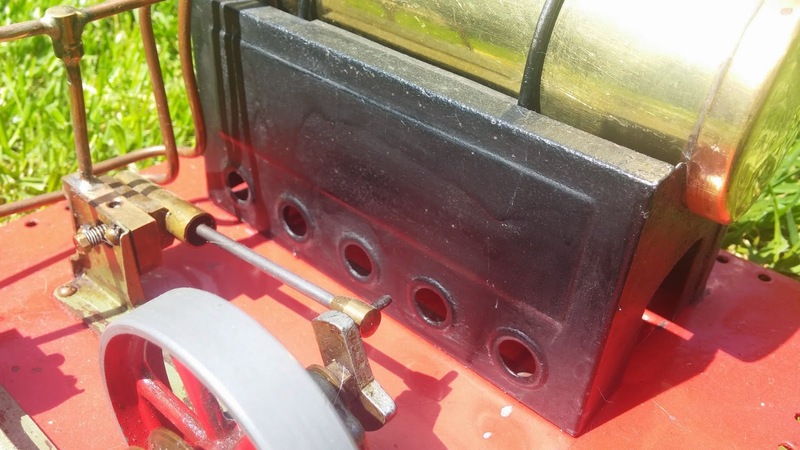 The firebox has been sprayed with heat resistant matt black paint and done poorly too. It is clear they have sprayed too much of the paint too close since there are signs of the paint drooping downwards. When it comes to spraying parts, try to be smooth and consistent so that every part of the part gets the same mount of paint applied. Many thin coats are much better than a few thick coats. At least the crankshaft assembly looks to be okay. All it needs is a polish, repaint the painted parts and put back together. What helps as well is the fact the connections to the base are using nuts - which are easier than taking out and putting back in pop rivets or hollow rivets. 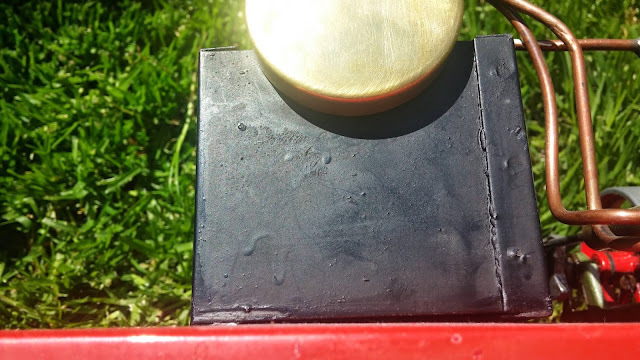 I think the detail in this picture clearly shows the base has been repainted - again, to a poor standard. 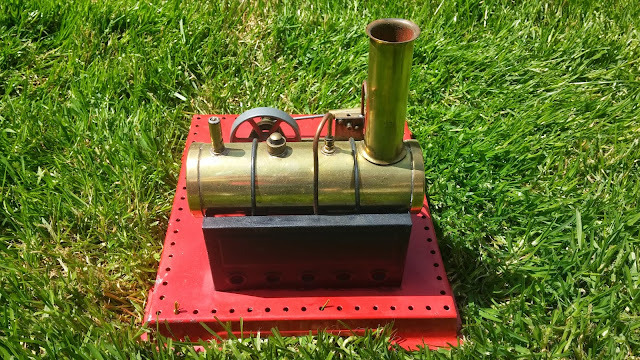 Here is the firebox too, with drip marks from poor painting. Ultimately, it is still a bargain at £50. Restored, it would be worth well over £100. However, I was hoping that this was going to be a 'barn find': an engine that had not been touched in tens of years. So, moral of this story, even I make mistakes when it comes to buying engines so be extra careful when you see an engine going for cheap!